Sometimes I get wedding submissions that leave me utterly speechless. As I scroll through the photos, I literally have to step back in awe of the beauty of them. 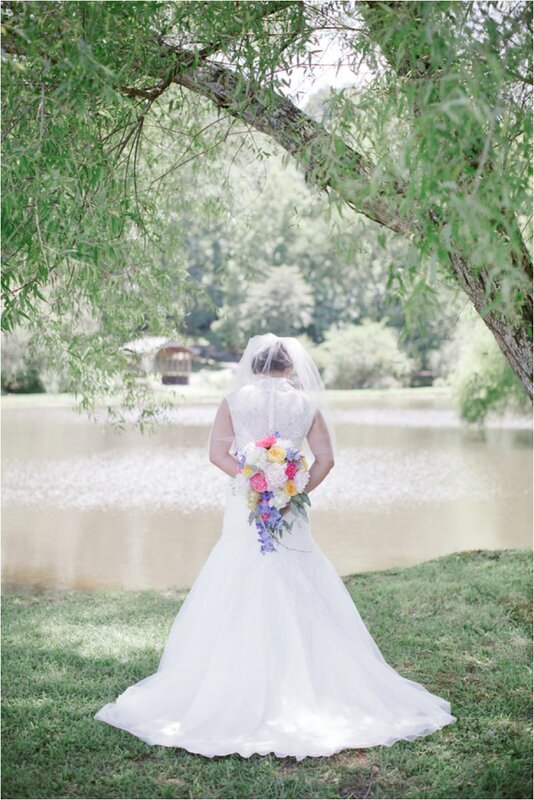 For instance, this bride, Riley is beyond gorgeous! Her groom, beaming. The sunlight, shining. The details, so darling. I pinch myself that I get to do this. I get to share this amazing couple's amazing wedding photos and, in a small way, be part of their most special day. 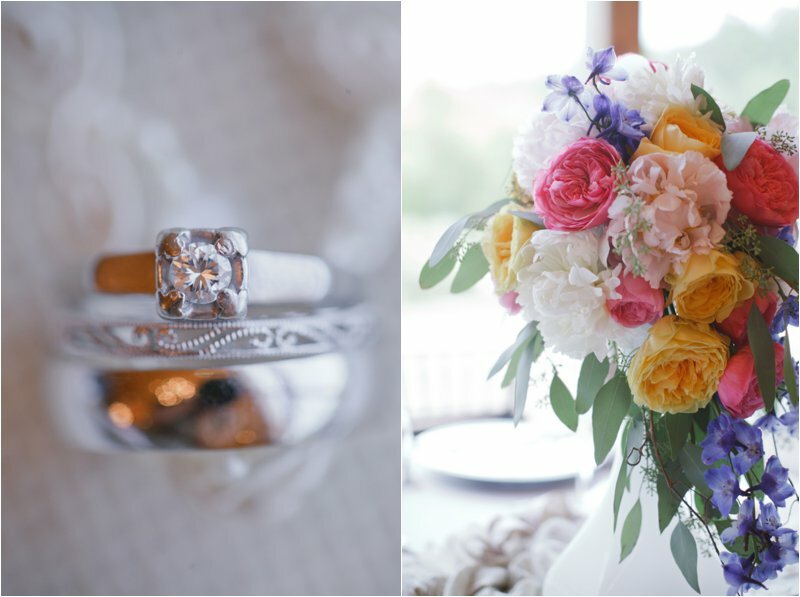 It's truly an honor to introduce Quinn & Riley and share their beautiful wedding with you, photographed by Amber of Amber Cather Photography. 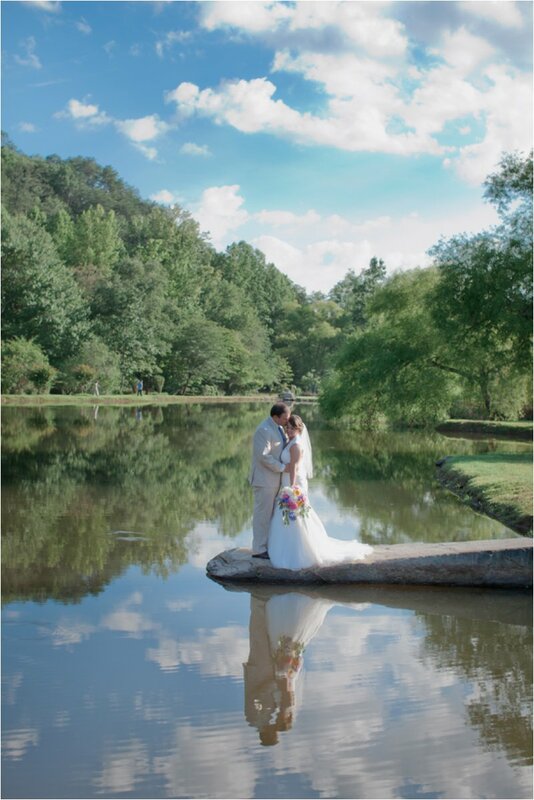 Quinn and Riley got married at Willow Creek Falls And Vineyard in Georgia, a venue with a stunning view of the water, which, by the way, these two spend a lot of time on the water! Fly fishing! They also CrossFit and they didn't hesitate to incorporate their love for these sports in the wedding. 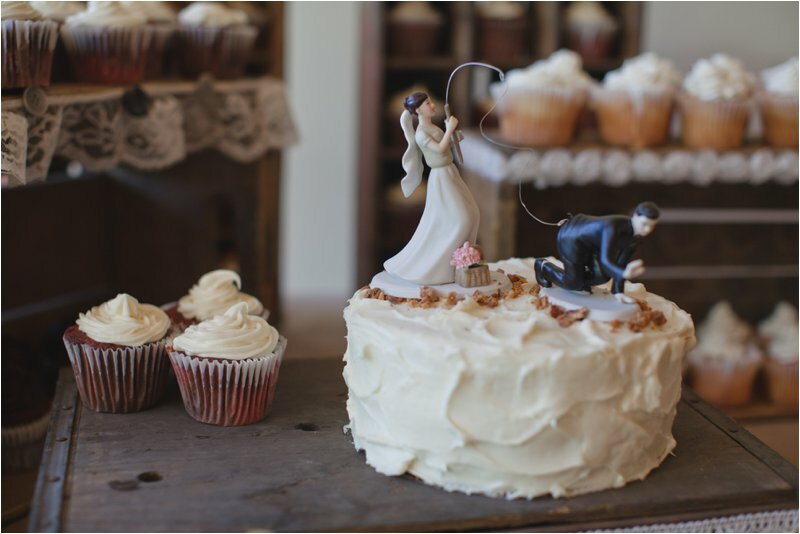 Hence the barbell, fun cake topper, and fly-tie boutonnieres, made by the groom himself! Picture perfect and perfectly them. 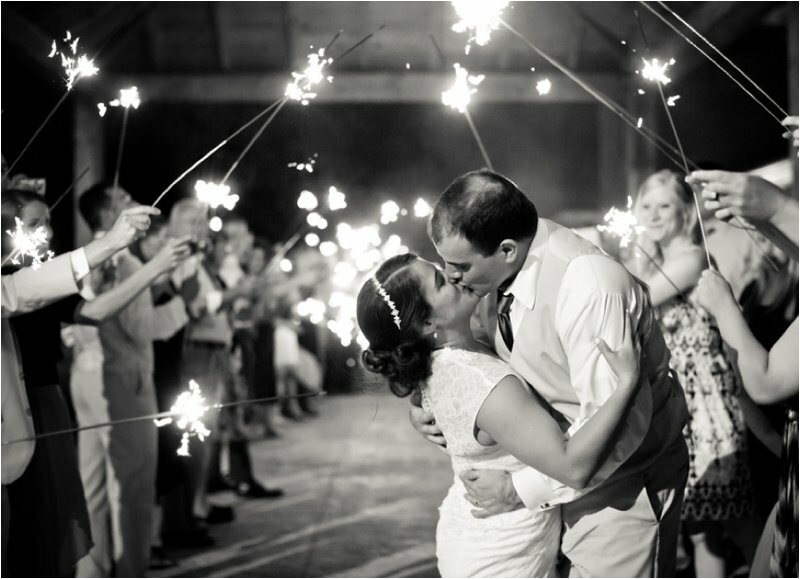 What more could you want from your wedding? My Q&A with Quinn about finding love, starting CrossFit, and planning her dream wedding. When did you start doing CrossFit? I believe it was late August 2012 and my husband (boyfriend at the time had been doing CrossFit for about 6 months). What box to you belong to? We belong to CrossFit 30513 in Blue Ridge, Georgia. What prompted your interest in the sport? I had been on a sports team for as long as I could remember. Having recently graduated college and having been on a sports team, I had missed the camaraderie of being part of a group. Also, I wanted to get into shape with friends who I enjoy being with and that would push me to my best. Did your fiancé/husband participate too? Yes, he is actually the one asked me to come try CrossFit for the first time! Did you two meet at a box, or meet before you started CrossFit? We have known each other since we were 6. We grew up together about an hour and forty five minutes north of Pittsburgh and our families were in the same group of friends. We literally grew up playing together. I went off to college in Michigan and he got a job in Blue Ridge when I was only a Sophomore; so I finished out my four years, graduated and then I packed my car and moved south to Blue Ridge in September 2011. Tell me about the engagement! Was it a surprise? We had talked about it but I wasn't sure when it was going to happen. A friend of mine had asked me to go with her to see some of her friends who in a band play at a local bar. When I talked to Riley about it, he was very persistent about he and I going out to another local bar, the Blue Ridge Brewery, for a date and he wanted to dress up. He doesn't dress up very often, so I wondering what was up. The next morning as Riley and I were driving into work, thoughts were flying in my head, what if it was the night he would propose? Just with the thought it could happen, butterflies filled my stomach. Once Bill and Shannen Oyster (Riley's boss and his wife) got to the workshop, I told Shannen that tonight may be the night and asked her if she and Bill would go to the Brewery with us. As two excited school girls would do, we talked and talked about how it would happen. As work came to a close, I made my way down to Oyster Bamboo, so Riley, Bill and Shannen and I could go to dinner. Right as we were leaving the shop, Bill and Shannen said they are going to drive down and meet us at the Brewery. So, Riley and I took our time walking, looking in all of the windows of all of the shops. As we got closer I saw these two people sitting outside on patio furniture in front of the L & L Beanery. As we continued to get closer I said to myself, isn't it rather cold to be sitting outside, and then I realized it was Bill and Shannen with their phones in their hands. Right as I was about to say something to them, I saw out of the corner of my eye Riley get down on one knee. In complete shock, I turned to face him and as nervous as he can be Riley asked me to spend the rest of my life with him. Before he could stumble over anymore words I said yes while Bill and Shannen captured it all in video and pictures. We did finally did celebrate with dinner and drinks at the Brewery. It was an amazing night and one we will never forget! When you first started Crossfit, what was your initial reaction? (Mine was something like: omgthisishard but I LOVE IT! Lol) I loved the intensity of it. I was hooked from go! What was your aim in doing CrossFit? To get stronger? Lose weight? For pure enjoyment? I would definitely say it is a little bit of all three. I enjoy the people who are there, love the fact that I am losing weight while I am getting stronger. Is Crossfit a big part of your relationship? In what ways? Yes, it is something that we do together and we look forwarded to it. We are both so busy with work and volunteering that we really like having CrossFit to do together. 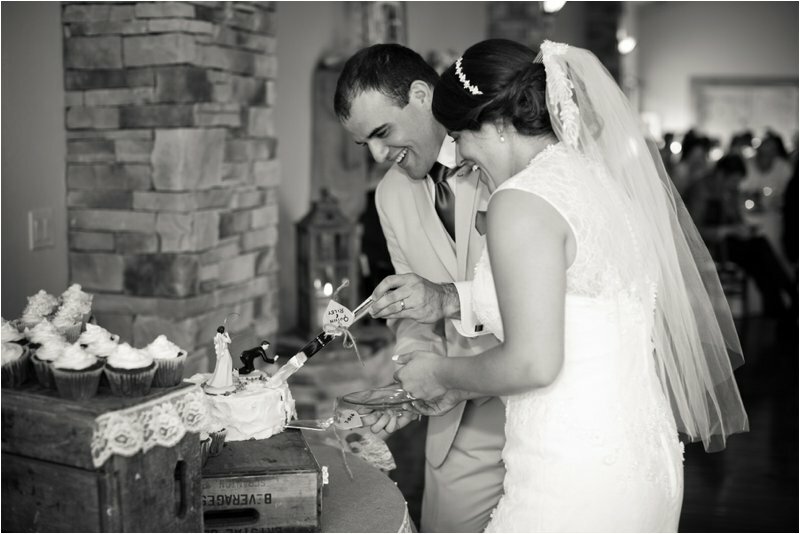 I absolutely love the touches of fly fishing throughout your wedding! How long have you been doing that? Riley has been fishing since he was a young kid with his older brother and father. It has always been a big part of his life. What peaked your interest in it? I will fish with Riley if he asks me to go with him knowing that it is what he loves to do. 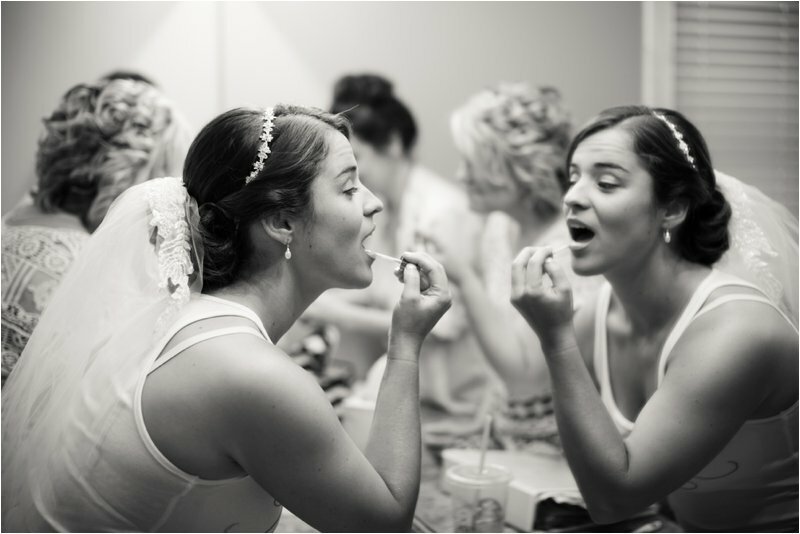 Do you have advice for other women interested in doing CrossFit prior to their big day? If you want to lose weight before your wedding, this is defiantly the way to do it! Would you suggest they do it? I got my dress a year ahead of time, if I could do it over, I would have gotten it like six months out. I had to cut back on weights and pull-ups because if I gained more muscle, I wouldn't have been able to fit in my dress. If you don't mind, I'd like to ask you about your diet, too. Paleo seems to be the diet of most CrossFitters - do you eat paleo? I do not, but I am a lot more conscience on what I do eat. Being human, I have my cheat days when I over indulge more then I should but not very often. CrossFit has helped me rethink on what and how much food that I do eat during meals. Would you care to share your time on a favorite benchmark WOD? (So we can be jealous!) We recently did The Fury and I was the only one in the class to finish, 56:15 was my time and this year we did Fran and I did it in 6:15. Not the greatest times but I have improved so much in the year and a half I have been doing it. 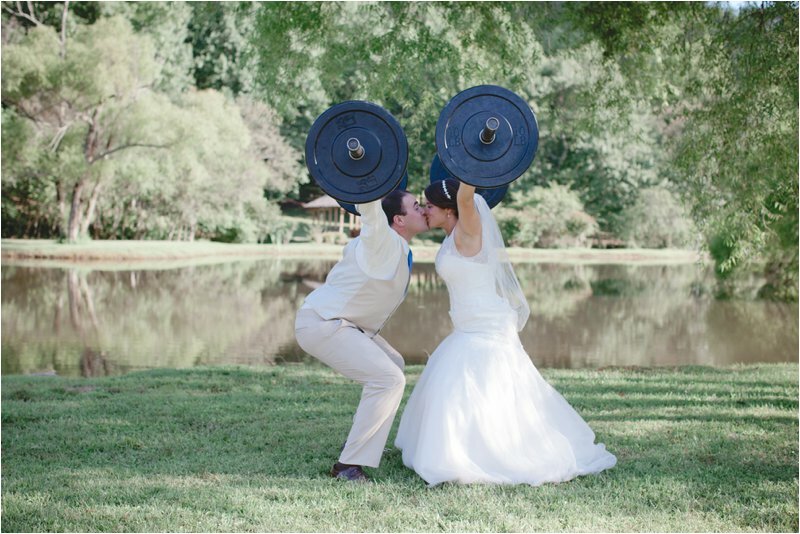 Do you relate any elements of CrossFit to marriage? To have our marriage last, we know that we have to continue to work on our marriage to make it stronger like CrossFit does for our overall health! 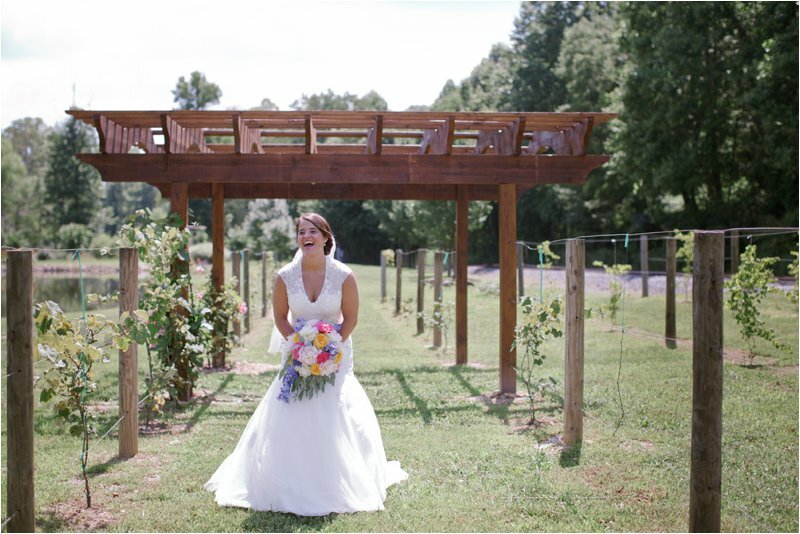 Thank you for sharing your beautiful wedding with us!